Happy New Year friends! For me the new year brings ambitions of getting clean and organized every year. A clean house, an organized home and more recently an organized and efficient blog. Last year I resolved to run this blog as a business, I set very specific goals and dedicated a set amount of time (and space) to growing Creative Ramblings. It paid off! 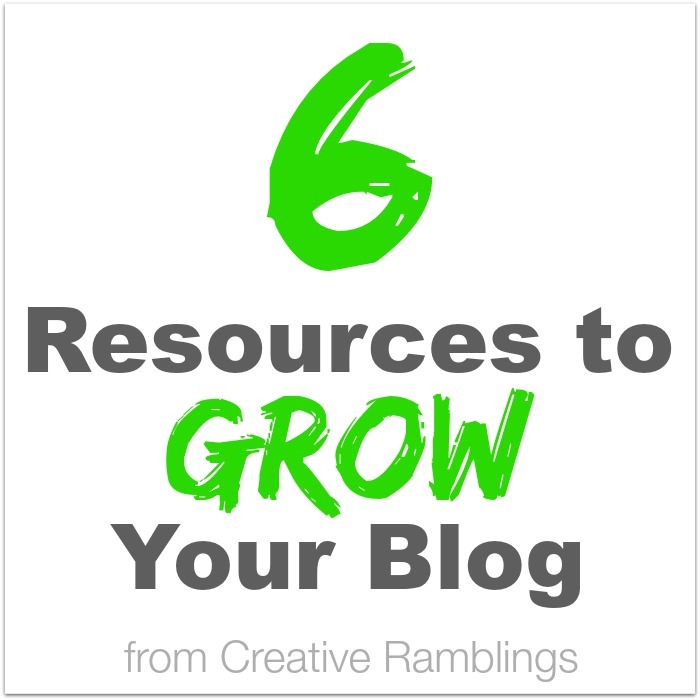 I employed a some key resources to help me grow my blog and I want to share them with you. Do you have a blog? Have you thought about starting a blog? There are many reasons people blog, I do it to share my creative journey with you. I love the community and the inspiration I get from blogging and getting to know all of you. I blogged for almost a year just for me, and many people continue that way. It can be a wonderful release to share your thoughts and projects with others. In 2014 I was ready to take my blog to the next level and bring a little extra income to my family. Below are some of the tools I have used to help grow my blog. In late 2013 I took the leap to a self hosted blog. This means I went from creativeramblings.wordpress.com to creativeramblingsblog.com. I paid for that name and moved to WordPress.org to continue blogging. Why? For a few bucks I own my site and have the freedom to use it as I see fit. I am also able to put ads on my site and generate a little income. It’s also more searchable and easier for my followers to find and remember. In moving to a self hosted site I needed a place to host. If you are just starting out this can be a little complicated. Let me break it down. WordPress.org is a blogging platform where I functionally write my posts and manage my page. Siteground (my hosting company) hosts my blog, it lives on their servers. You need both of these things to run a blog. There are many hosting companies available and you should do your own research to find which one fits your needs. Siteground has amazing customer support, my site is always up and running and the price is fair. Definitely a company to look into. Once I had a domain on WordPress and a hosting service, I found a blog theme. A theme is the layout of your site and there are thousands available. There are free themes and paid themes, there are themes that are already built for you and all you have to do is post, then there are themes that allow you to customize every last detail. I opted for a free theme for a while and learned a lot about the backend of blogging. It was fun, doing it all myself, but I couldn’t get that professional look I was going for without some expertise. So I chose to purchase a theme from Restored 316, an amazing company with beautiful feminine Wordpress themes that run on the Genesis Framework. If you are looking for a clean professional, fully functional, feminine theme you have to check out the selection at Restored 316. In late 2013 I purchased a new camera, my point and shoot died and my phone was just not cutting it. I know full well that even the best camera can take sub par pictures if not used to its full potential. I wasn’t ready to invest in a $1000+ camera so I found a mirrorless from Sony that (when used to it’s full potential) takes DSLR quality photos at a price that fit my budget. I have also taken some online photography courses and listened to the advice from more experienced bloggers and photographers to improve my images. Once I got a good handle on how to use my camera and how to stage and light beautiful photos, I upgrades to this Canon and it’s a game change. This camera and mic combo also work really well for video. I edit every photo I use on my blog. From size, to exposure, to text and overlays I use Picmonkey to enhance them. You can read my recent Picmonkey post to see why I love this service. Bloggers are pretty awesome. They are one of the most helpful and supportive groups of people I have ever “met”. It’s pretty amazing how supportive someone whom I’ve never actually met can be. I joined a few blogging groups on Facebook and Google+ early in 2014. Today I belong to a few that I take part in daily. We visit each others posts, answer questions, celebrate and vent. These groups keep me focused and I do not think blogging would be quite the same without them. 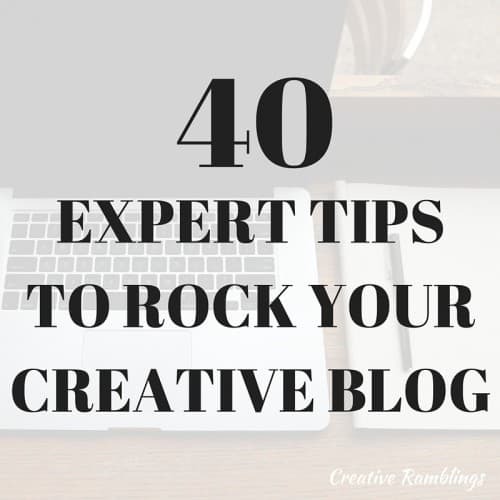 I highly encourage you to find a group of like-minded bloggers that you can learn from and open up to. This year I purchased 2 ebooks written by bloggers, both have allowed me to learn the ropes so to speak from bloggers who have been in my shoes. Building a Framework by Abby from Just a Girl and Her Blog walked me through how to build a blog. I read this book the first time on a plane while my kids slept. I took a ton of notes and immediately started implementing simple strategies to help grow my blog. You can learn more and buy Abby’s book here. The other book I just started reading is Blogging on the Side; Where Passion Meets Profit. I am looking forward to learning more from 2 women who have very successful blogs on the side. They manage to put their families first and still have fabulous blogs. You can find all my go to blogging resources here. These 6 resources really helped me this year and I know they will help me continue to grow in 2015 as well. Do you have a blog? What resource has helped you the most? Thank you for all the support and tips!! That’s my goal for this year. Starting a successful etsy shop and growing my blog! Best of luck to you, so glad you found this helpful! You have a lot on your plate, but if you enjoy blogging you will find time for it. These books have been a huge help for me. Best of luck, I look forward to following along. Glad you found them helpful and thanks for joining the party. So glad you found it helpful Erica, thanks for reading.